UTLIMATE CT. 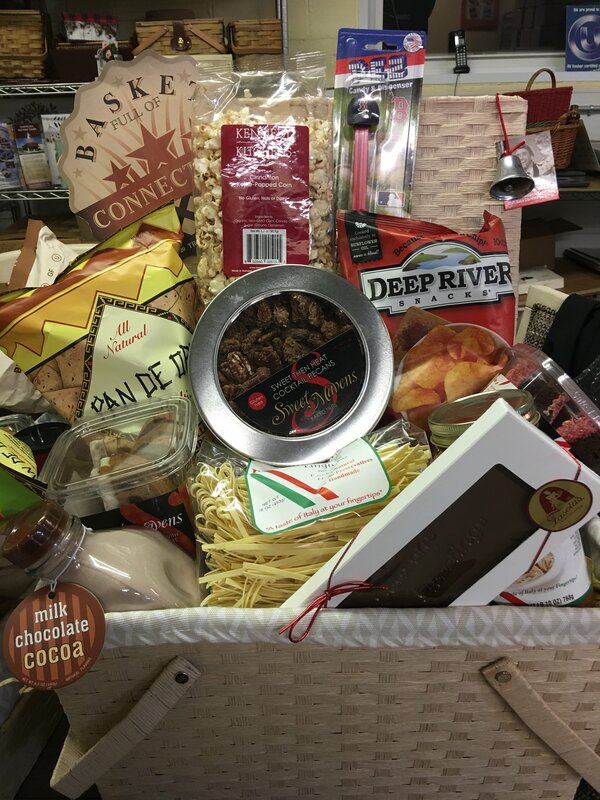 This large picnic style basket has something for everyone. Chips, popcorn, dips, salsa, Pez candies, chocolate. jams,sauces, and so much more. Its been a favorite gift among customers for friends and relatives who have moved away.